Includes daily breakfast for all guests. FREE admission to the Cabo Dolphins observation deck. $60 discount on activities for two at Cabo Adventures. 10% discount on food and beverages at Agave Azul and La Vista Restaurant. 10% discount on any massage at Aura Spa. FREE room upgrade. Free access to the Gym. All-Inclusive includes all meals, drinks, activities and more. $550 in resort credit coupons per room to be used towards spa treatments, romantic dinners, in room values and more. EXCLUSIVE $100 discount per booking. All-Inclusive includes all meal, drinks, activities and more. EXCLUSIVE $100 discount per booking. 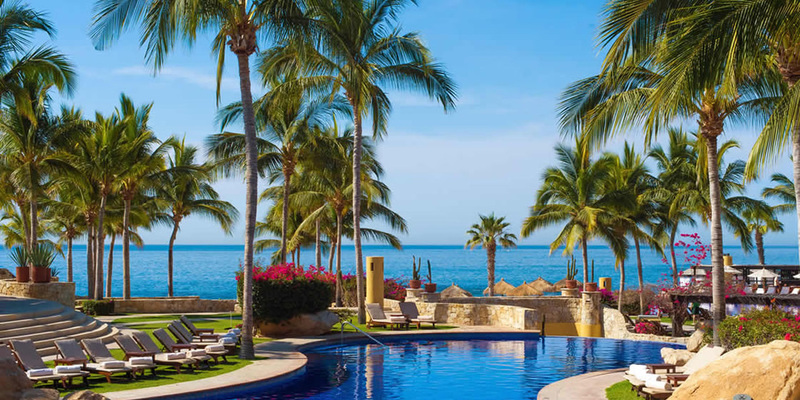 We offer more than 25 hotels in the Los Cabos area. 3 Night minimum stay. Ask about transfers, confirmed air options and additional nights.